Executive Directer Kim Bryan will participate in Break the Silence! Let’s Talk About Mental Health and Suicide. 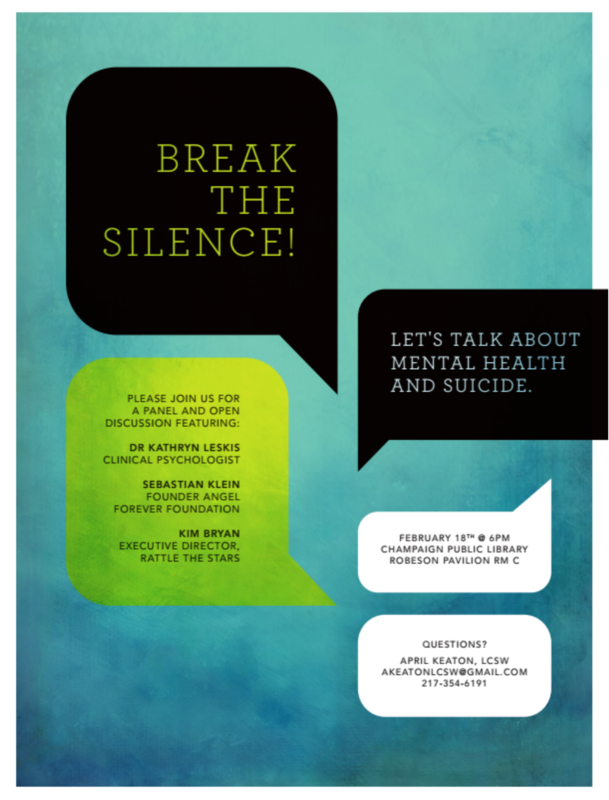 This interactive event will provide space for youth to discuss mental illness and suicide. Attendees will leave specific information on what they can do for themselves or a friend who might be having thoughts of suicide.